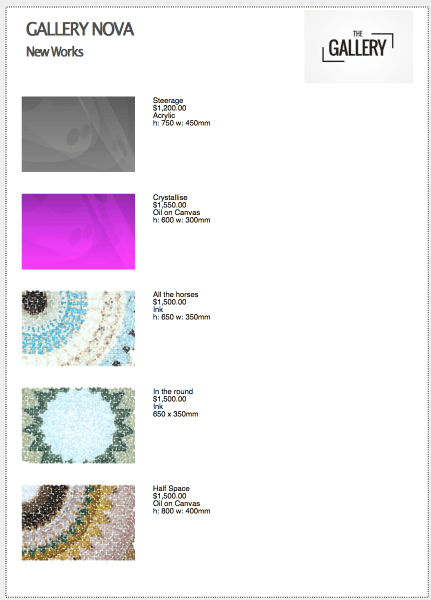 Highlighting Tessera features most suitable for use by a gallery. 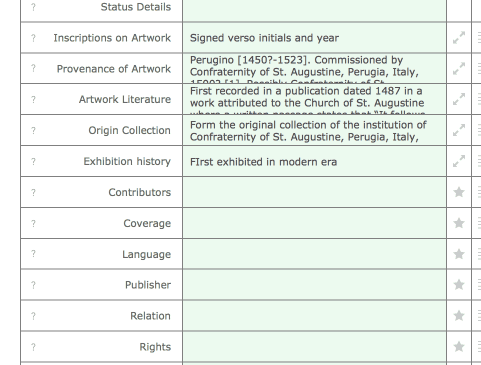 All of these features are available to artists, collectors, cataloguers and galleries alike. 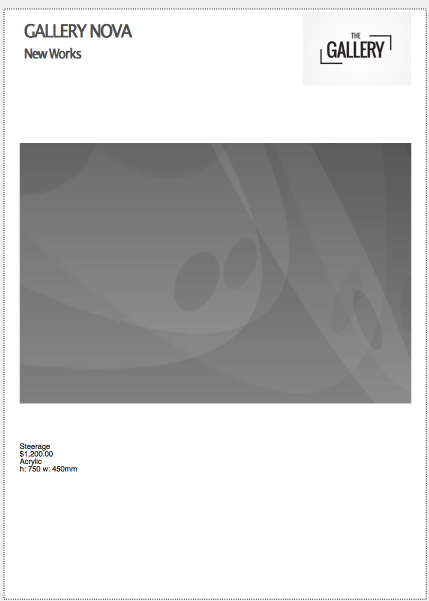 Some features listed require a Tessera Pro licence. 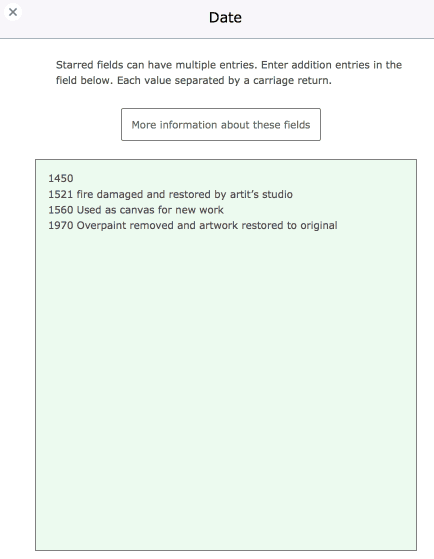 Add any number of artworks and other items. 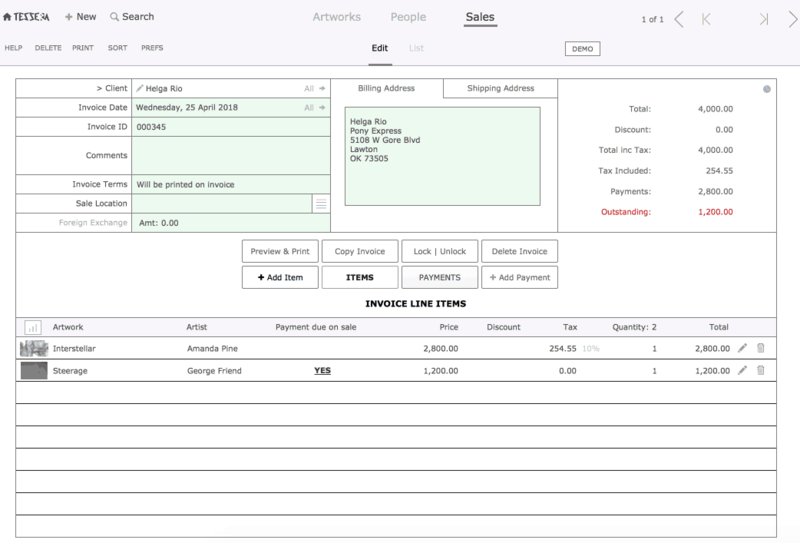 Control the design of your invoice and the way tax is applied. 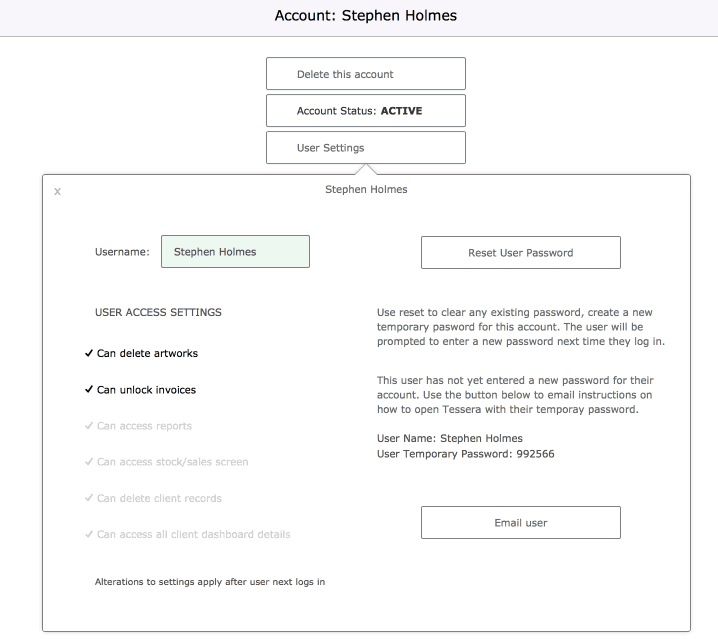 Use security settings to limit access where required. 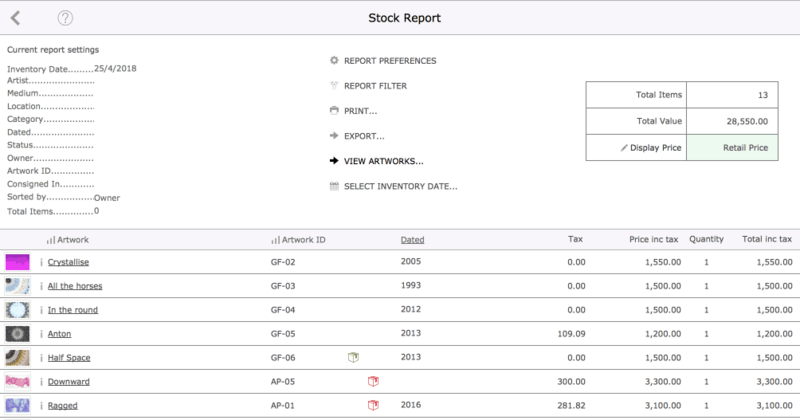 Advanced range of options let you select from available editions and control the text that appears on the printed invoice. 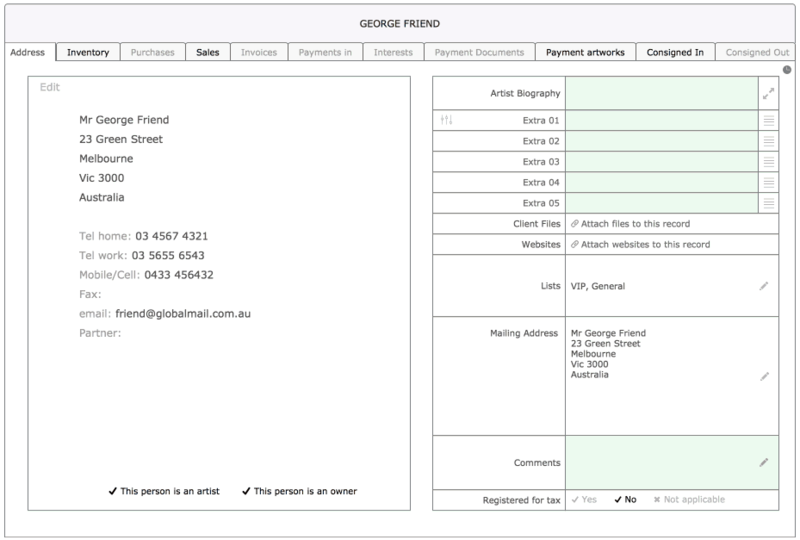 Enter and track all payments made against invoices. 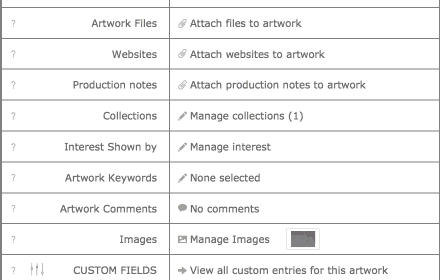 Create collections of artworks to quickly display groups of artworks to clients. 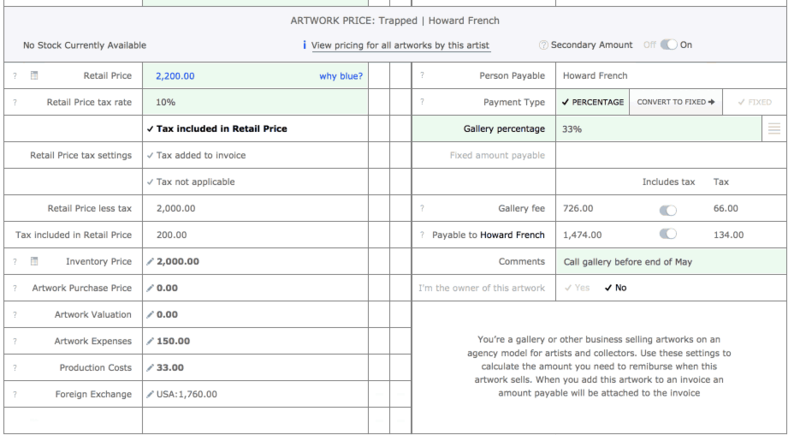 Retail price is highlighted in blue throughout Tessera when an artwork is framed. 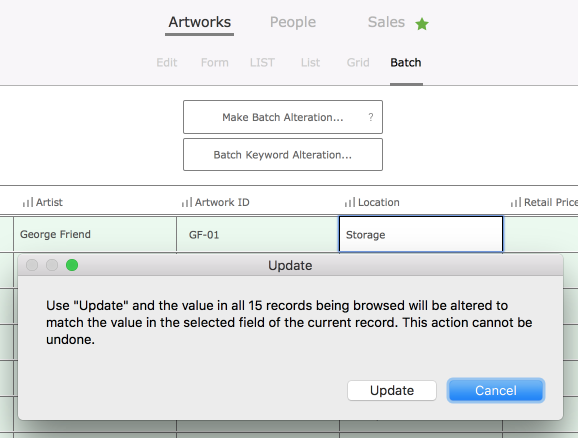 Available throughout Tessera, where-ever an underlined name of an artwork appears, giving quick and easy access to essential artwork details. 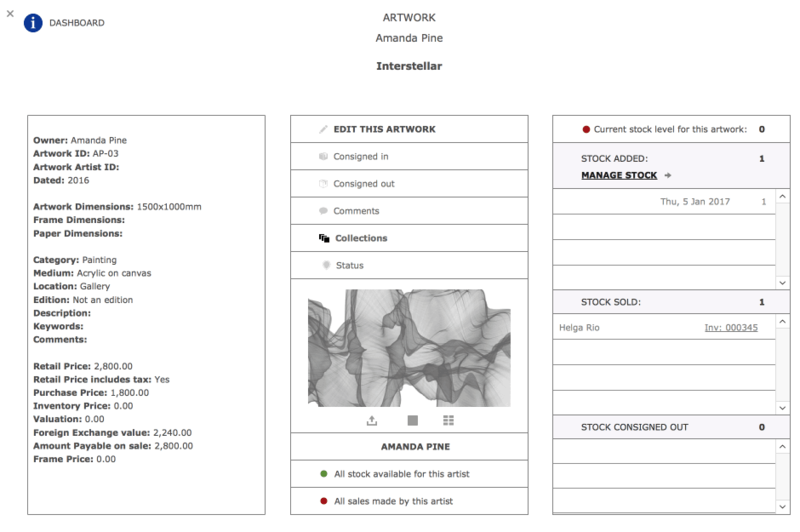 Keep track of artworks that owners and artists have placed with you for sale. 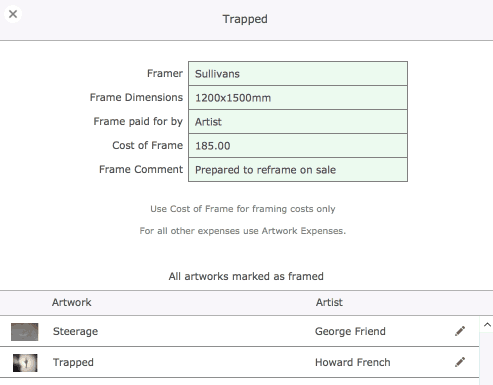 Manage text and pricing details from screens that allow multiple alterations at once. 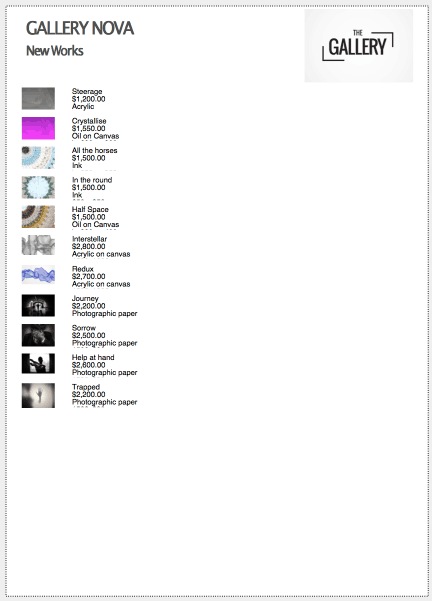 Control the amount of descriptive text as well as the pricing details. 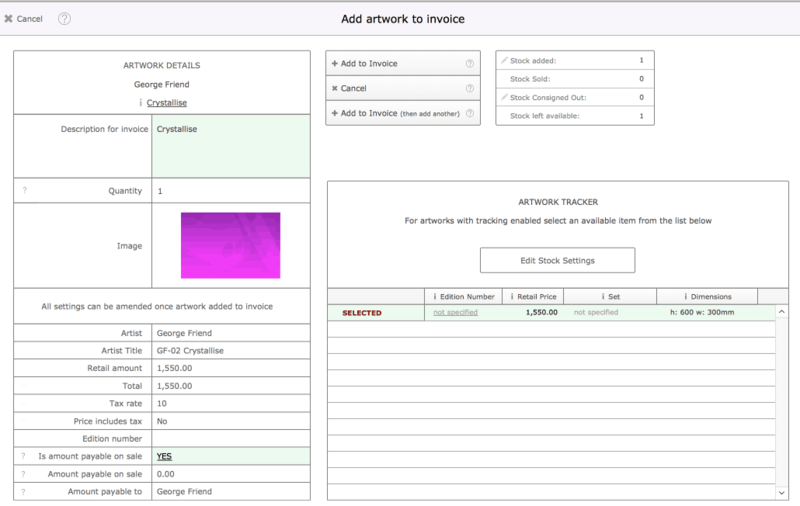 Includes the option to specify amounts payable to artists and owners on sale of their artworks. 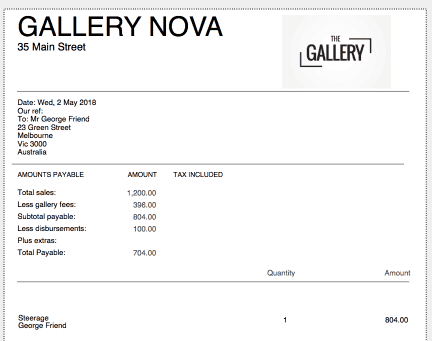 Compile documents detailing amounts payable on sale of artworks. Include tax and offset amounts payable with disbursements.